I may have a little bit of a Zulily addiction lately but today is definitely a sale I couldn’t pass up! I adore SCOUT bags and they have a HUGE collection available at amazing prices today. Just in time for summer! They make awesome beach and pool totes, and their coolers are also great for a day on the beach. 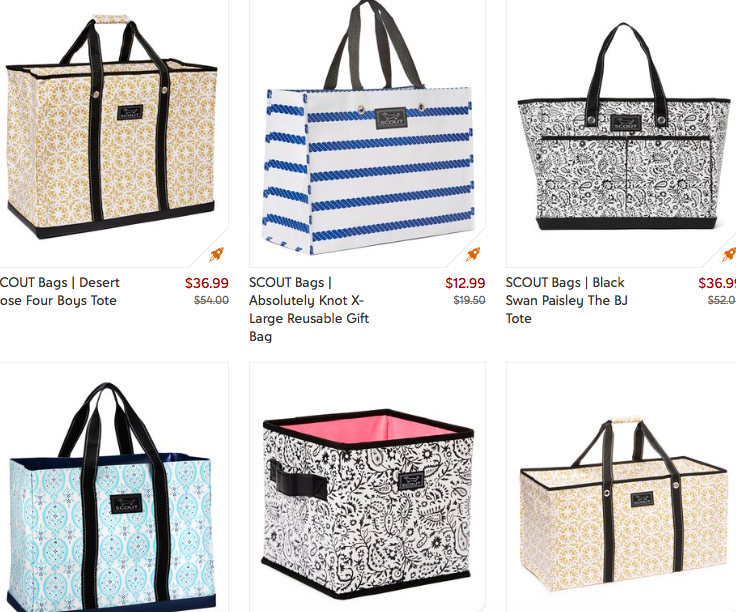 The only thing I don’t love about Zulily is that shipping sometimes takes awhile but many of the SCOUT bags for sale today have a 1-3 day shipping guarantee. Get ’em while they are still in stock – stuff tends to sell out quickly! I really liked the collection. They seem to be amazing, cost-effective. I will surely buy one or two of them soon.